With digital coin prices linked to the fluctuating value of companies like Bitcoin, the future of cryptocurrency is often in doubt. Recently, Coinbase, the largest platform for Western purchases of fiat digital currencies, announced they are beginning token integration. Digital coins, like Ethereum, are being paired with U.S. dollars and other fiat currencies for sale. It gives cryptocurrencies an increased level of stability because it is no longer tied to one company’s profitability. Digital currency can now gain better global acceptance in the marketplace. Average investors feel more confident buying crypto coins that are the equivalent of USD. In the beginning, some investors hoped digital currencies would be a way to avoid taxes. The IRS has been watching the development of this new monetary platform since its conception. In April 2014, the IRS released limited guidelines for the taxation of digital currencies. 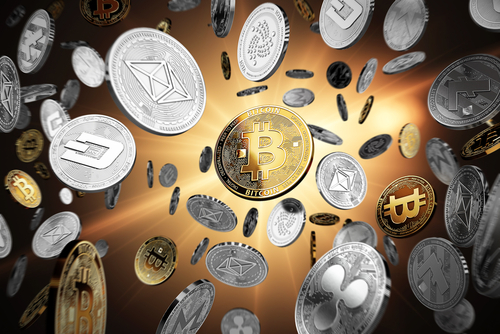 From their point of view, the purchase of crypto coins lies somewhere between currency and investments and is treated as property. How Are Taxes Calculated for Digital Currency? Crypto coins are considered assets. Any gain or loss from the sale or exchange of digital currency is taxable. The length of time you own the coins determines whether you will pay short-term (one year or less) or long-term (over a year) capital gains taxes. The First In, First Out rule is used to calculate the period of ownership for an investor who purchases coins multiple times. What Do I Need to Document for Taxes on Digital Coins? Purchase Price – The original cost of the coins is called your basis. It is needed to calculate your earnings. Sale Price – The amount you are selling or exchanging your coins. Earnings – The basis amount minus your sales price. Did the 2018 Tax Law Affect Digital Currencies? In the past, investors could avoid taxes by exchanging crypto coins for an equal valued commodity. It is called a like-kind exchange. The new 2018 tax law has eliminated this opportunity. These exchanges are now limited to real estate only. If you sell your crypto coins for cash or use it to purchase anything other than another cryptocurrency, it is seen as income and capital gains taxes apply. Is Cryptocurrency Still a Questionable Investment? Digital currency appears to be the wave of the future, although it is still experiencing growing pains. Understand the tax implications this new monetary format brings before investing. Consult a tax professional and do your research. Dutton Legal Group helps the people and businesses of Indiana navigate ever-changing State and Federal tax codes. Our goal as experienced tax attorneys is to assist you in finding an immediate, cost-effective answer to your tax challenges. We provide a variety of tax services from balance resolution and return preparation to wage garnishment relief and audit assistance. Make Dutton Legal Group your next call at 1-800-334-0255 or send an email to request a free consultation. Trustworthy and affordable, for over 15 years.